Used several Trench Heaters in a BMS heating system. Great control available with the Jaga Clima radiator client very happy. Bought over phone and received bang on 4 weeks - trench heater looks very nice and working well - my builder fitted looping in to existing radiator system in front of patio windows. 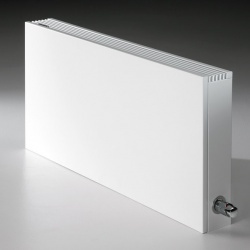 This trench heater looks great in place and produces heat in the widow area as expected. Jaga delivered on day requested after call from them. Good service from trenchstyle - overall vgood experience.